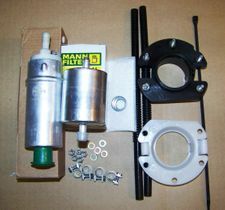 New replica fuel pump kit for all K75, K1100 bikes built from 1/93. The pump is made by Norris from the original BMW technical drawings, it is an exact replica of the OEM VDO pump so the fit and function are identical to stock. 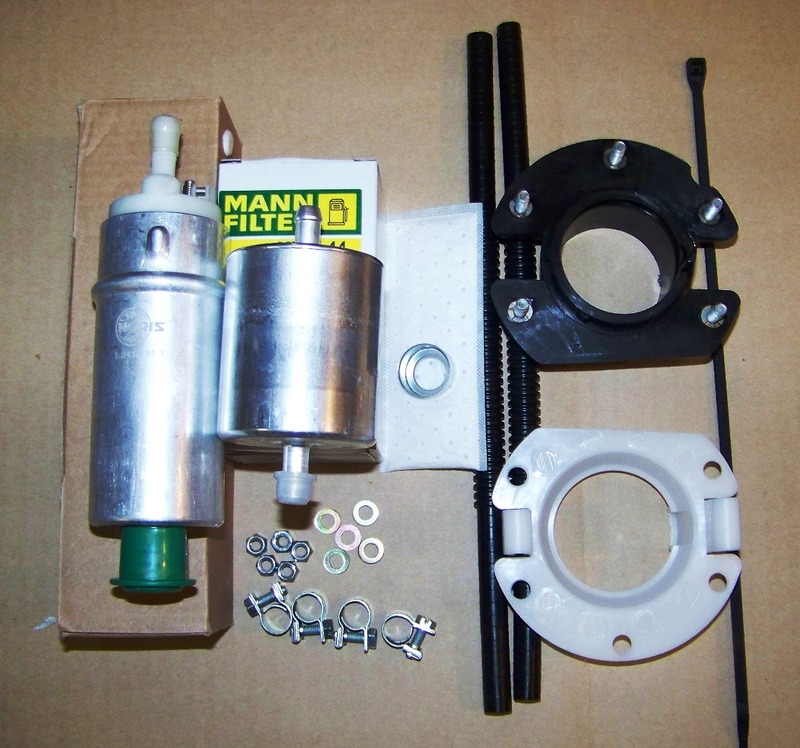 Includes the pump, rubber vibration damper & retainer clip (with lock nuts and washers), fuel pump sock (new OEM replica version shown in the inset pic), fuel filter, fuel lines and hose clamps. 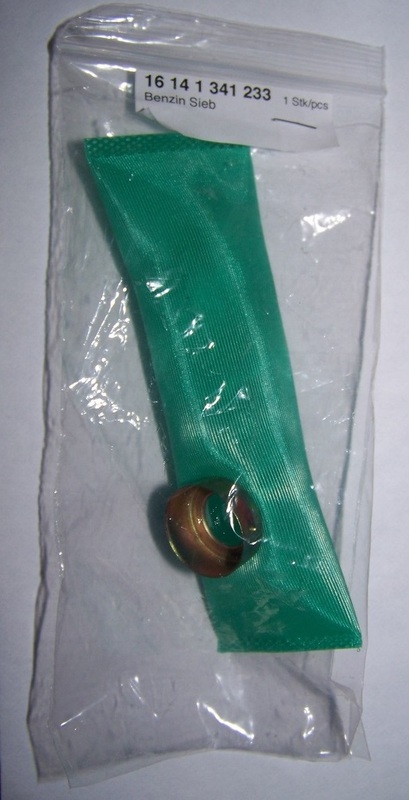 BMW gets $415 for these parts, save huge here!